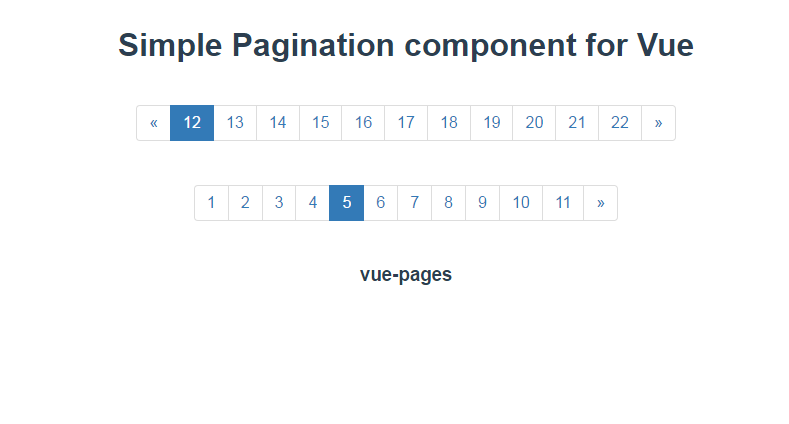 vue-pages is a simple pagination component for Vue, which uses Bootstrap, and has support for Vue 2.0+. Check the following example to see how it works. You can bind direclty to the parameters you ve set into the components template. The above config will get you the following result. Visit its repository on GitHub and the Demo page, for more.